« Star Wars: The Last Jedi – Just as Mind-Boggling As The Others! Paddington is happily settled with the Brown family in Windsor Gardens, where he has become a popular member of the community, spreading joy and marmalade wherever he goes. 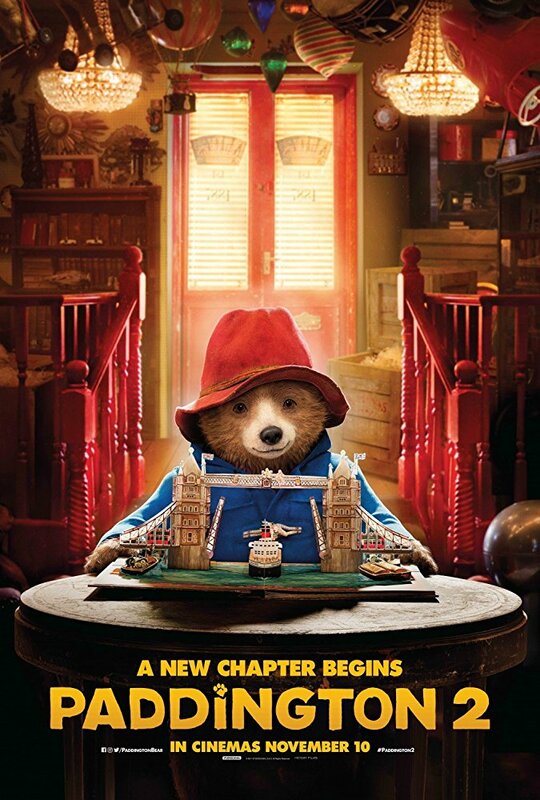 While searching for the perfect present for his beloved Aunt Lucy’s 100th birthday, Paddington spots a unique pop-up book in Mr. Gruber’s antique shop, and embarks upon a series of odd jobs to buy it. But when the book is stolen, it’s up to Paddington and the Browns to unmask the thief. KIDS FIRST! Film Critic Jolleen M., comments, “This film is hilarious and made me cry a cry of joy and also of sadness, multiple times. It is amazing to watch live characters bond with an imaginary, animated bear.” See her full review below. This film is hilarious and made me cry a cry of joy and also of sadness, multiple times. It is amazing to watch live characters bond with an imaginary, animated bear. Even though there’s not actually a bear there, you can feel the love within the family. The film starts off with a little flash back showing how Paddington was saved from falling off the waterfall when he was a cub, by Uncle Pastuzo and Aunt Lucy. They adopted him and raised him as if he was their own son. Then it returns to present time. Paddington wants to get the perfect gift for Aunt Lucy on her 100th Birthday and decides on a present, but it is expensive. He works hard to earn enough money to buy the gift. One night while he is walking past the store where the gift is, a thief breaks into the store and steals it. Paddington chases after the burglar, but when the police arrive they assume that he is the thief. Paddington is sentenced to 10 years in prison even though he didn’t commit the crime. His family tries to prove his innocence, but they don’t have much evidence. Paddington (Ben Whishaw) is supposed to be a young bear. Ben Wishaw, who does his voice, doesn’t sound like a young bear to me. He sounds more like a polite and proper man. Even though he doesn’t sound young, his voice matches Paddington’s personality, particularly because Paddington is very polite, kind and sweet. The animation for this film is very realistic. 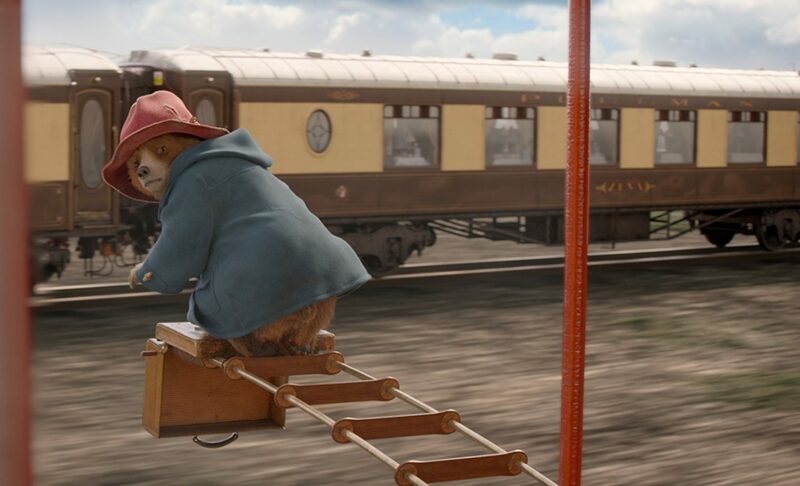 Paddington interacts with objects that aren’t animated, which makes him seem like he is actually there. Paddington looks very realistic with very detailed fur, eyes and feet. My favorite part of this film are all of the jokes throughout it. They are so funny and sarcastic. The whole audience was laughing together. Everyone understood the jokes, adults and children both, which is always great. The moral of this story is to be kind and positive, so that life will be kind and positive to you. Throughout all the hardships that Paddington goes through, he stays positive, remains kind and eventually everything becomes right in the end. 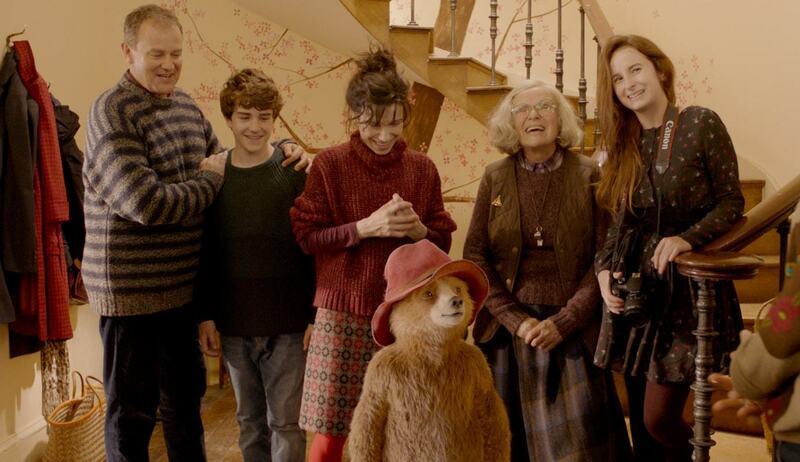 Paddington 2 is such an amazing film to watch with your whole family. I give it 5 out of 5 stars and recommend it for ages 3 to 18, as well as adults. It opens in theaters nationwide on January 12, 2018 so, go check it out. This entry was posted on Friday, December 29th, 2017 at 6:24 am and is filed under Feature Film Reviews. You can follow any responses to this entry through the RSS 2.0 feed. Both comments and pings are currently closed.